Burking inventedWhat were the Burke and Hare murders? The PerpetratorsWhat do we know about William Burke and William Hare? The VictimsWho were the murder victims? The AnatomistsWho bought the bodies? Public AuthoritiesWho investigated the murders? 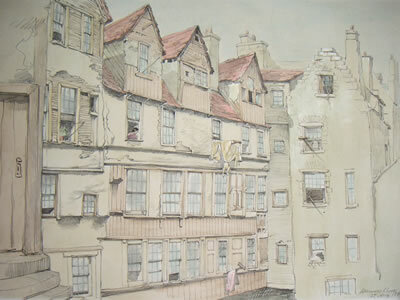 Edinburgh City TourWhat did Edinburgh look like in the 19th century? CreditsHow do we know about the Burke and Hare murders? 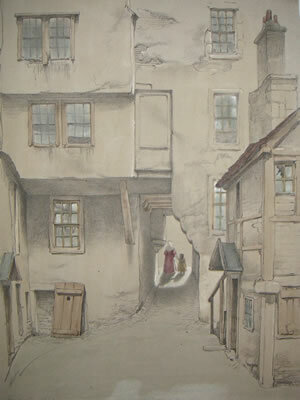 On Monday, November 3, 1828, Edinburgh awoke to the horrifying news that the most atrocious murders of the decade -- of the century -- had been committed in the West Port district of the Old Town. William Burke and William Hare, together with Helen M'Dougal and Margaret Hare, were accused of killing 16 people over the course of 12 months, in order to sell their cadavers as "subjects" for dissection. Their purchaser was Dr. Robert Knox, a well-regarded anatomical lecturer with a flourishing dissecting establishment in Surgeon's Square. 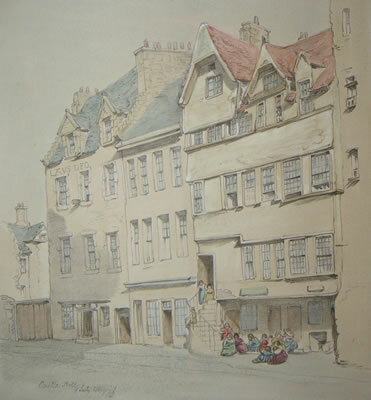 The ensuing criminal investigation and trial raised troubling questions about the common practices by which medical men obtained cadavers, about the lives of the poor in Edinburgh's back alleys, about the ability of the police to protect the public from deliberate, unprovoked murder for gain. The murders were discovered when two of Burke's lodgers, Ann and James Gray, grew suspicious about the unexpected disappearance of a visitor, Madgy Docherty, whom they had met in Burke's house the night before. They found her dead body under the bed and went for the police. Burke, M'Dougal, and William and Margaret Hare were arrested for Docherty's murder. William and Margaret Hare turned King's witnesses, that is, witnesses for the prosecution, in return for immunity. Burke and M'Dougal were tried for murder on December 24, 1828. M'Dougal was acquitted with the distinctively Scots verdict, Not Proven. Burke was convicted and sentenced to death. He was executed on January 28, 1829. His body was dissected and publicly exhibited. Their preferred method of murder, suffocation by leaning on and compressing the chest, has been known ever since as "burking." The story of Burke and Hare has made its way into popular culture through Edinburgh's Blackwood's Magazine, through Robert Louis Stevenson, and through Gil Grissom of CSI. Popular movie versions include Robert Wise's The Body Snatcher, with Bela Lugosi and Boris Karloff, Freddie Francis's The Doctor and the Devils, with Timothy Dalton and Jonathan Pryce, and John Landis's Burke and Hare, with Simon Pegg and Andy Serkis. Click on thumbnails to view slideshow. 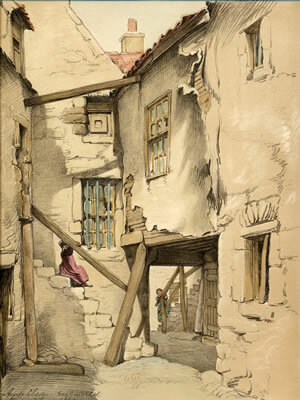 Images taken from James Drummond, Old Edinburgh, 1879.